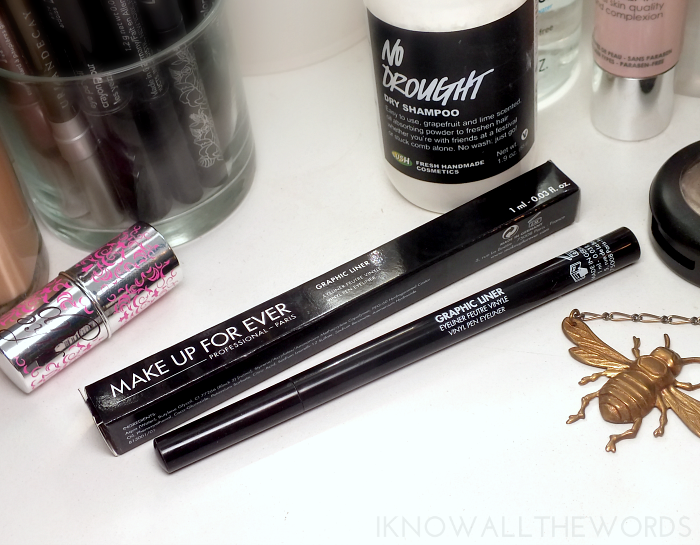 Think fast- how many eyeliners are in your beauty stash? Or, more specifically, how many black liners? I know I have my fair share, especially of the liquid variety, but how can you not? There is just something about the perfect, black, flick. 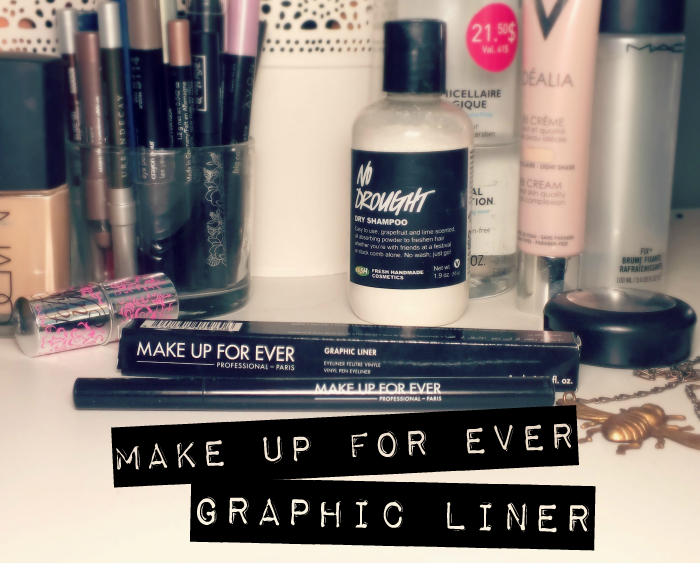 Make Up For Ever knows this, and have recently introduced three new black liners- Artist Liner, Ink Liner and the one we'll be discussing today, Graphic Liner. Read on! 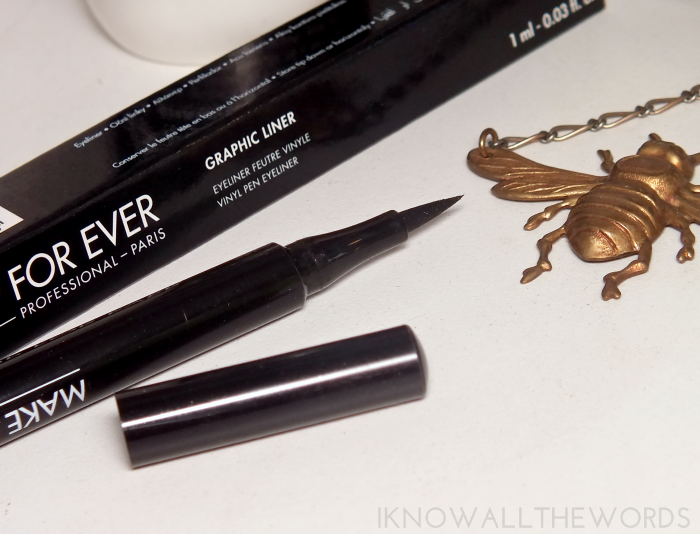 Make Up For Ever Graphic Liner is a pen style liner with a pen tip that is designed to create a perfect line with ease. I quite like the tip on this as it's neither too firm- as many pen styles are- but has some flexibility to achieve an easy cat eye flick. I find the pen handles quite nicely in the hand, the black is gorgeously opaque and doesn't require multiple passes to get there, and the formula dries quickly on skin, but... There are also some major issues. Firstly, the cap doesn't close tightly on the pen. It goes on, but doesn't click/snap or make contact, which is a little alarming for a liquid product. I found the tip of my pen to be a bit dry on the first use, and even drier by the second- when I attempted swatches. The upper side of the pen allows product to flow pretty well, but it just doesn't migrate to the tip (it just stays dry). 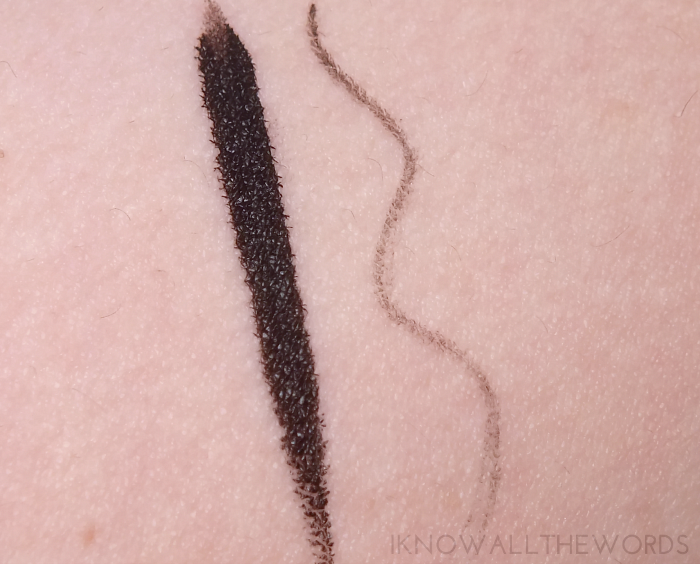 The liner is still useable, but I like to be able to use the tip to clean up my lines and perfect my flick, and regardless of price point, I expect the liner to be fully useable. Overall, this could be a really great liner. I'm hoping the issues I've experienced aren't a common issue with the product, and this is a one off deal. Tried this? Thoughts? 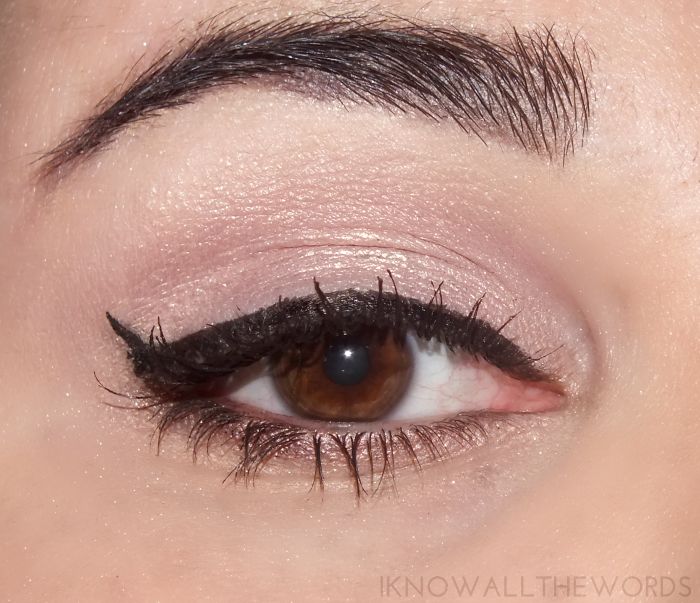 What's your favourite type of liner?